Everyone wants a clean home, but not to spend the extra time cleaning. A trusted maid cleaning service is no longer a luxury for a few families to enjoy. 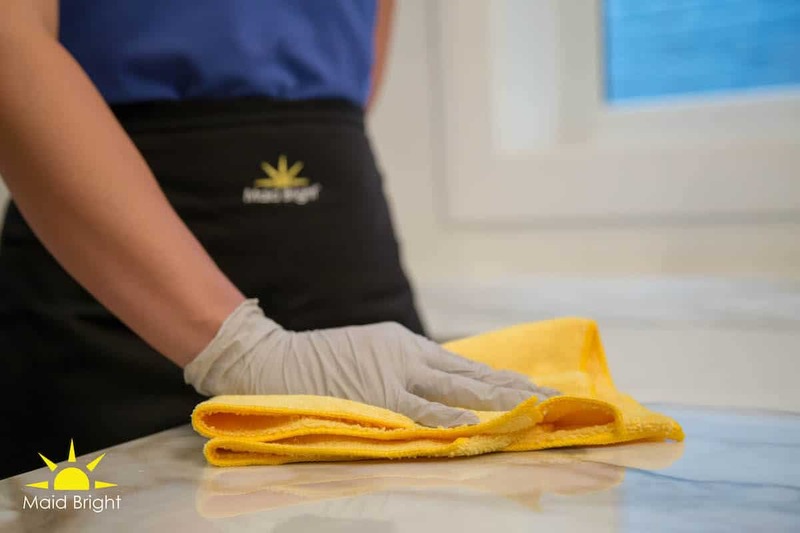 Whether you’re preparing to host, need help with regular upkeep, or are looking for a one-time deep cleaning, Maid Bright can help. Learn more about our services here. 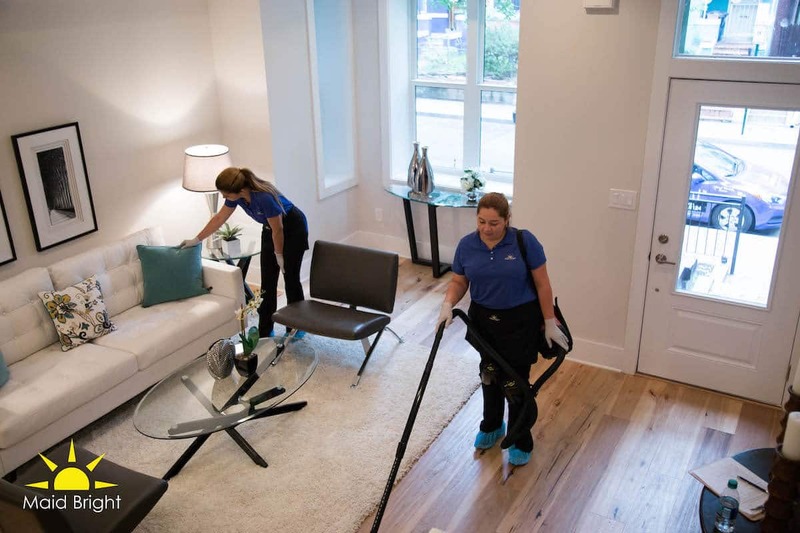 When looking to hire a home cleaning service, we know there are many options to consider in the Great Falls, VA area. 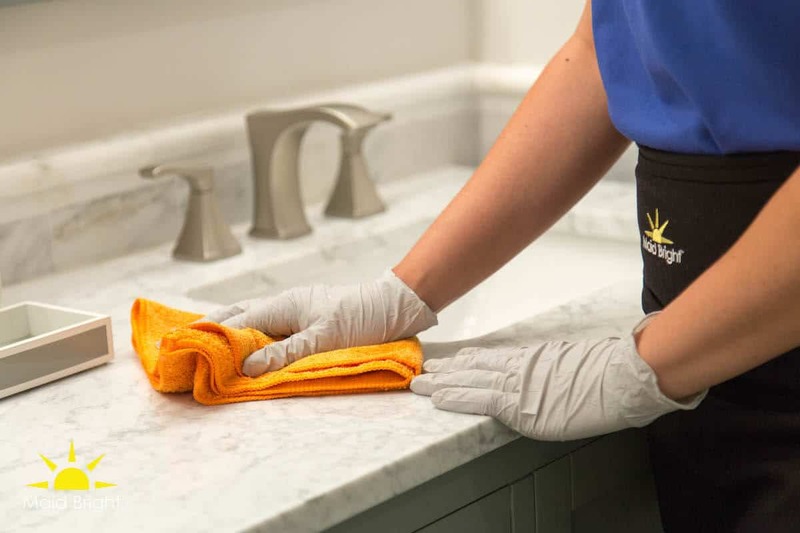 At Maid Bright, we offer an affordable, professional maid service focused on meeting our customers’ needs. 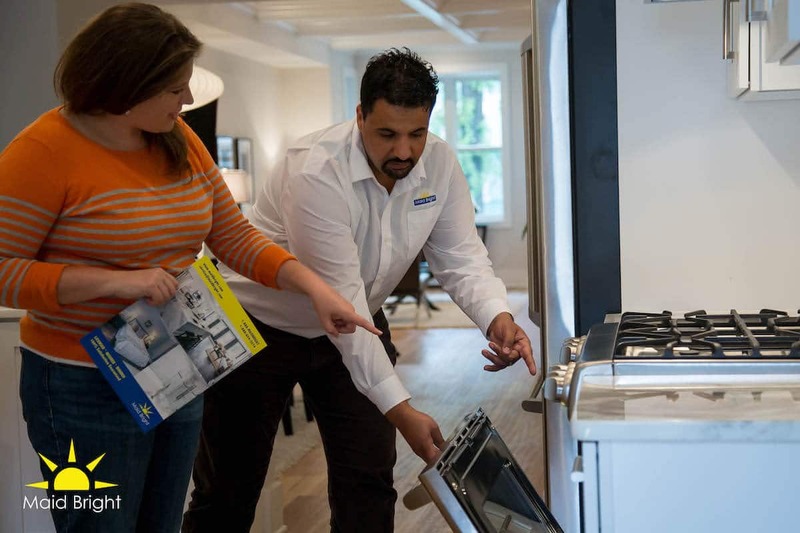 We’re here to answer common questions and show you how your home can sparkle. Read on to see what sets us apart from other local cleaning services in Great Falls, VA. Call or fill out the form here for a free, no obligation, in-home estimate. As part of the consultation, a representative will explain our service in detail and address all of your questions. Using your input, the staff will then develop a custom cleaning plan. We take the time to talk over any areas of your home that might need special attention or questions you may have. Maid Bright has been a local, family owned and operated cleaning service since 2004. We see our customers as part of our growing family in Northern Virginia, Maryland, and DC. Your Satisfaction in Cleanliness, Guaranteed. If you’re not satisfied with the cleaning, contact us within 24 hours and we will happily re-clean the area. We will work to make it right – we want you to be delighted with your clean home! We are committed to being the best maid service in Great Falls, VA while remaining affordable to our customers. Check out our current special offers here. Maid Bright is fully insured and bonded for your security and peace of mind. A certificate of insurance is also available upon request. All Maid Bright employees are authorized to work in the United States. 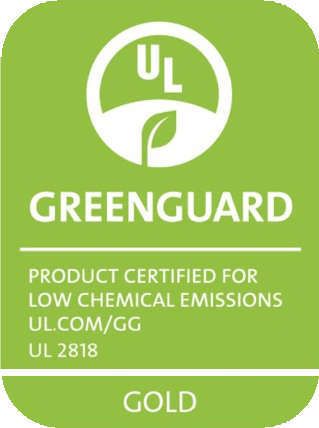 We’re committed to using products that are safe for your entire family, including children and pets. The cleaning supplies we use meet the Green Seal of Approval. If you have other products you’d like us to use, just have them ready for us at the time of your appointment. We’re proud to have helped hundreds of satisfied homeowners, both long term and new. One customer wrote: “I have been using Maid Bright for monthly service since mid-2013. They consistently do excellent work, and the workers are cheerful and pleasant.” See more customer reviews here. We know pets are a part of your family! We ask that you safely secure your pets, especially any cats/dogs that may be uncomfortable around visitors. Maid Bright takes the pain out of hiring a local maid service. Read on for answers to common questions we hear from new clients. Before your first house cleaning or your free in-home consultation, you’ll want to consider a few factors. Be prepared to tell us if there are any rooms in your house that may require extra attention. Also, let us know if there are spaces you prefer we leave alone. Maid Bright staff are prompt and professional and will ready to work during your scheduled appointment window. We use Green Certified products, but if you’d prefer, please supply alternate products for us. We strive to make payment a simple, convenient process for our clients. We appreciate full-payment on the day of cleaning – either leave a check or arrange credit card payment ahead of time. We accept Visa, Mastercard or American Express. Maid Bright cleaning crews consist of two staff members. Sometimes the Quality Control Manager will also accompany the staff. We make every to send the same team to your home each time. Sometimes we may have to send different cleaning staff due to illness or time off. We assure you that our staff follows consistent service guidelines to guarantee a consistent clean every time. Before your appointment, we ask that you de-clutter any areas we’ll be cleaning. This allows us to do our job to the best of our ability. A clean home is well within your reach. Contact Maid Bright today for your no obligation, free estimate. Maid Bright sets itself apart from the others by offering superior customer care, professional staff, and top-notch services. To schedule your free in-home consultation, call our office, Monday – Friday from 8am-5pm at 1-888-624-3274.